Well this is it last week before Christmas! I can’t believe it is on Sunday! Crazy how time goes by so fast. I am officially done with Christmas shopping, well I have to pick up one more gift certificate then I am DONE!!! Woohoo!! How about you? This weekend I went crazy! I baked 3 loafs of bread, pumpkin, gingerbread and banana with chocolate chips. Made two batches of Granola (recipe coming this week, it’s so good), 4 different kinds of cookies (all new recipes coming soon) and 8 jars of my Apple Cinnamon Peanut Butter. Insanity! Now this evening I have to pack it all up. I am giving food gifts as Christmas presents to my co-workers. I’m getting really tired, so I hope they don’t mind that I’m not dressing up my packages. I know packaging is everything. Maybe I’ll change my mind? 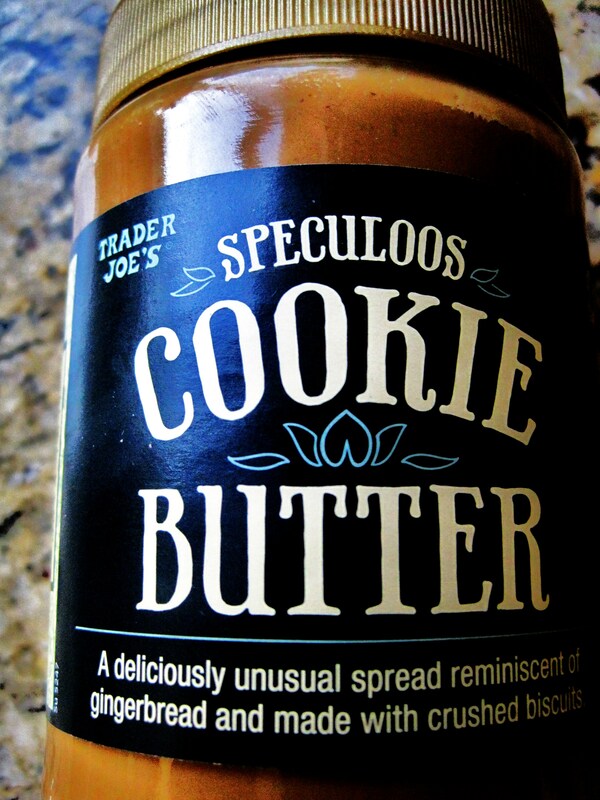 Well you know I bought that Cookie Butter/Speculoos Spread from Trader Joe’s and I needed to use it up to get rid of it. So I decided to make cookies with it. 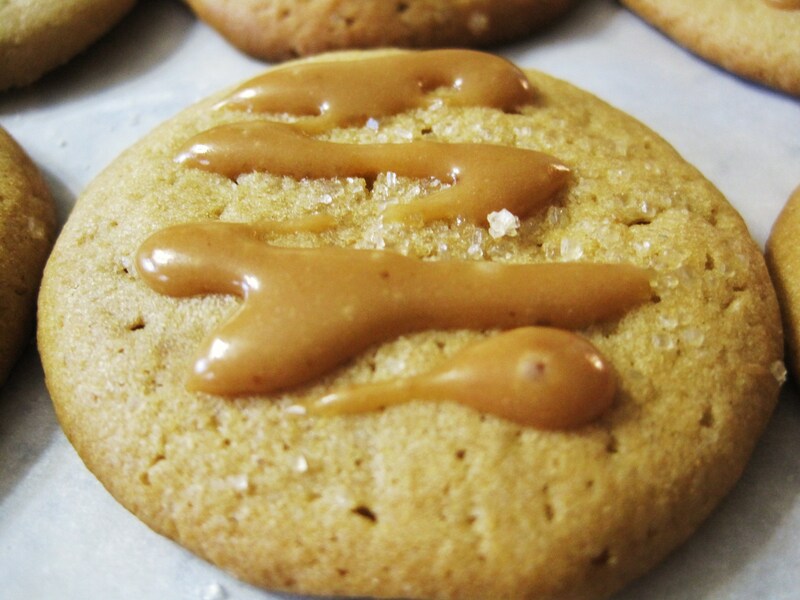 I used my Classic Peanut Butter Cookie recipe with some minor changes. I put a nice Speculoos glaze over the top of the cookie. I think they turned out pretty good. The dough to these cookies is super soft, and I mean soft! 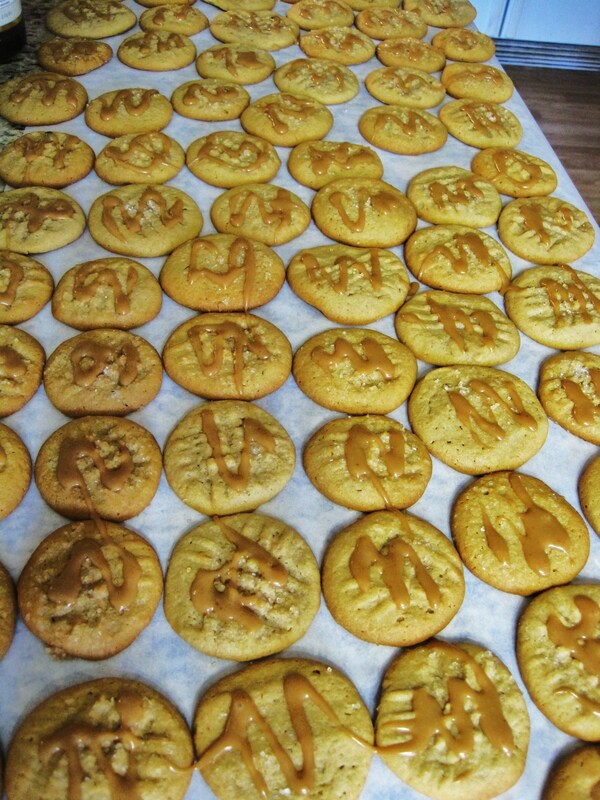 I put cross marks in them like I do Peanut Butter Cookies and the dough was sticking. I would just flattened them out or if you want cross marks, dip the fork in sugar. I do recommend sprinkling a little sugar on top of the cookie before baking it! It gives a slight crunch! When the cookies come out of the oven they are soft but harden right up. Actually they are the texture to a perfect cookie. Crisp outside, softish center. Also when you roll the balls of dough, make them small, they get quite large after baking. 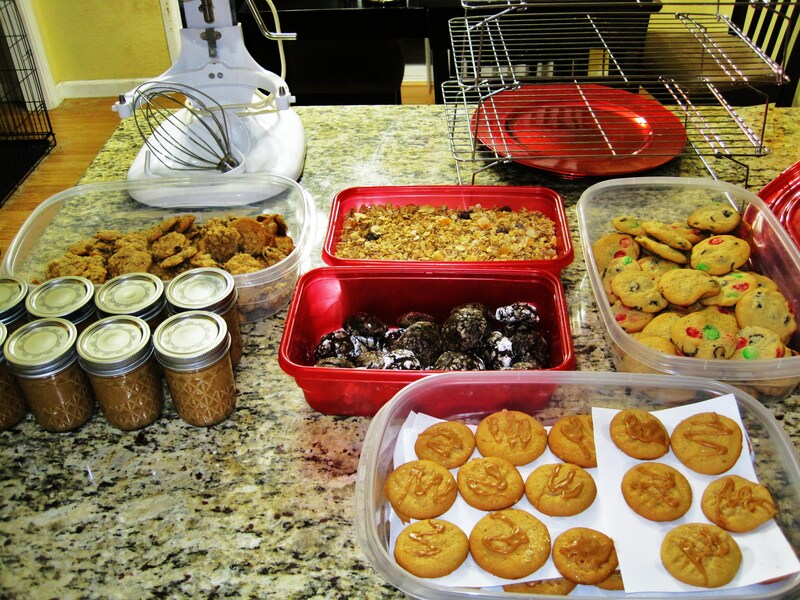 I got 82 cookies out of this batch! Would I make these cookies again? Yes I would! These cookies have a different taste almost a subtle gingerbread taste to them. I bet you could add some cinnamon or ginger to the batter to really make the flavors pop! I must say really like them. In a large mixing bowl, beat butter and Cookie Butter with an electric mixer on medium to high speed for 30 seconds. Add the granulated sugar, brown sugar, baking soda, and baking powder. Beat until combined, scraping sides of bowl occasionally. Beat in the eggs/Substitute and vanilla until combined. Cover and chill dough about 1 hour or until easy to handle. Bake for 7 to 9 minutes or until bottoms are light brown. Transfer to a wire rack and let cool. To make the glaze-combine Speculoos/Cookie Butter, powdered sugar, milk, in a small bowl. Whisk until smooth. If it is too thick or thin, adjust by adding more milk or powdered sugar. 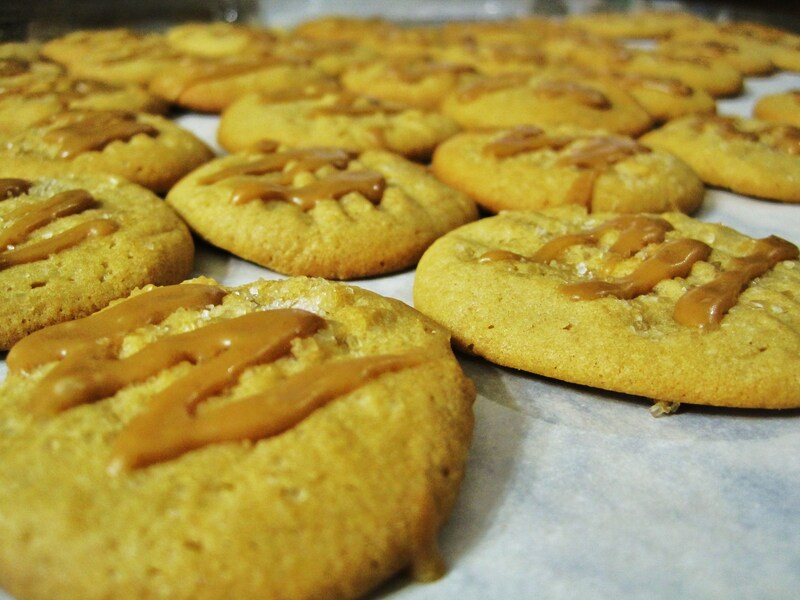 Drizzle glaze over cooled cookies. So are you planning on buying Trader Joe’s Cookie Butter? What are you going to do with it? Well I am off to start packaging up my goodies. Have a wonderful week!! Here’s a sneak peak of whats to come! Yes!!! You are a genius!!! 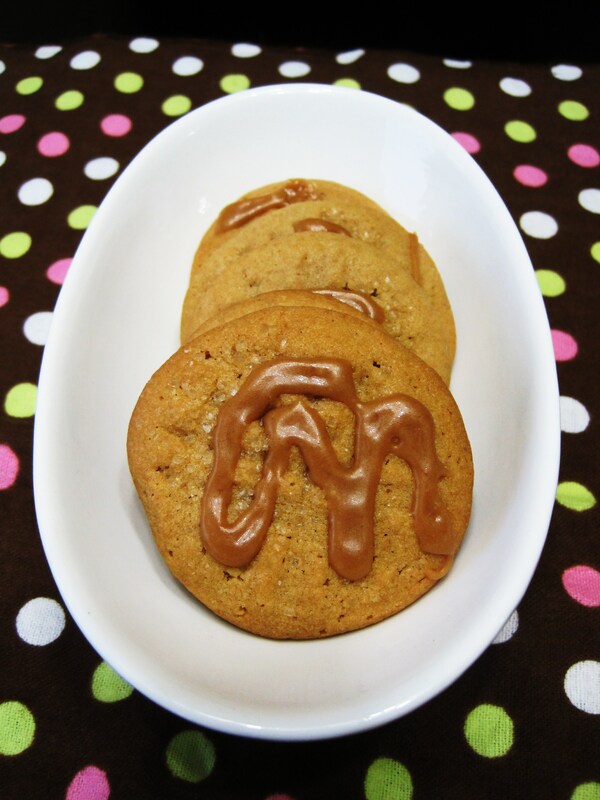 I NEED an excuse to buy that cookie butter, and here it is! Thank you! I can’t believe you got 82 cookies out of this batch??! I guess though as I’m reading it, the 1 c of butter AND the 1 c of cookie butter, that’s going to produce a lot of cookies! They look awesome. I actually made them normal size! They spread out pretty good! I checked my TJ’s today and they didn’t have any in stock, but soon they will! At least that is what they told me! I saw this post on Trader Joes list of super bowl recipes and loved it so much I just had to check out the recipe on your site. I don’t have the cookie butter, but you better be certain that I’m grabbing it the next time I head over there! Oh the cookies are so good! I heard Trader Joe’s will be getting the Cookie Butter in soon! I can’t wait! Wow, i can’t believe Trader Joe’s List put this on the Super Bowl recipes, so cool! I’ll have to check it out and see what other goodies they have. Thanks for stopping by, please come back and say hi! !